According to the U.S. Centers for Disease Control and Prevention (CDC), washing your hands is the single most reliable and best method for preventing the spread of germs and infectious disease--a practice adequately adhered to by far too few people. Several studies over the last few years have identified hand hygiene as the best approach to preventing the spread of dangerous germs and bacteria, both to others and ourselves--going so far as to claim hand washing may be a better preventative measure than the influenza vaccine. Clean hands prevent the spread of germs from ourselves to others, either directly or indirectly through hand to surface contact. According to the Centers for Disease Control and Prevention (CDC) (Mead et al., 1999), failing to wash or insufficiently washing hands contributes to almost 50% of all foodborne illness outbreaks. Additionally, Curtis and Cairncross (2003) performed a meta-analysis that suggests that hand washing with soap can reduce diarrheal disease risks by more than 40% and that hand washing interventions could save one million lives annually. However, despite self-reported claims to the contrary, far too few adults, and even fewer school-aged children wash their hands consistently, or well, with many foregoing the use of soap, even after using the restroom. Only 64-85% of adults were observed washing their hands in the bathroom, depending on location. Women (83-93% on average) were observed washing their hands more often than men (66-77% on average). The ratio declined significantly for secondary school students, though women (58%) were still observed washing their hands more than men (48%). However, only 28% of female students and 8% of male students were observed using soap. The numbers in healthcare environments are even more troubling, with the same percentage of workers self-reporting on hand washing practices, yet far fewer were observed washing their hands before or after interacting with patients. [...] some studies show that only a dismal 30 to 40 percent of healthcare workers wash their hands before and after interacting with patients. Reports might say compliance is 90 percent, but if we go in and observe, we find that it’s really closer to 30 percent. Less than 6 percent [...] met the recommended handwashing duration. Germs from entering our bodies through our eyes, nose, and mouth. Bacteria and viruses from transferring to food during preparation. Common illnesses such as diarrhea, as well as respiratory, or skin and eye infections. Conversely, not washing your hands is bad for everyone, especially children--1.8 million of whom die from diarrheal diseases and pneumonia around the world each year. 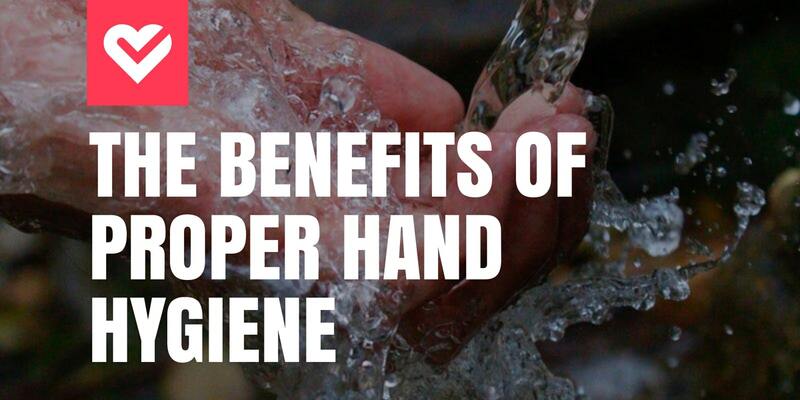 Additionally, studies have shown that handwashing education and access to soap can improve school attendance, as well as childhood development in specific settings. Show Me the Science - Why Wash Your Hands? Handwashing is a critical component of a healthy working and learning environment, and even more so in healthcare and food preparation environments. Improving education surrounding the importance of proper hand hygiene, combined with easy access to soap, will significantly improve the overall health of everyone, especially after using the restroom--estimated to be a disturbing 19% worldwide by the CDC. Unfortunately, the configuration and available resources within a restroom, such as the type of soap, cleanliness of the sinks, and availability of paper towels and liquid hand sanitizer, can have a significant impact on the efficacy of handwashing efforts. A cost-effective and straightforward tip to encourage proper hand hygiene in any environment is to place a poster in restrooms that educates occupants regarding appropriate technique, as well as providing clear information about the hazards of non-compliance, and the benefits of maintaining regular habits. Keep in mind that certain types of soap dispensers, specifically top-filling liquid dispensers, have been shown to harbor dangerous germs. Additionally, airblown hand dryers should be avoided if possible. Both products have been shown to potentially leave a users hands covered in more germs than they would have been had they forgone handwashing entirely. If you would like to learn more about the benefits of outsourcing your school or businesses hand hygiene, infection control, or janitorial services--contact us today for a free quote! ©2019 Vanguard Cleaning Systems of the Southern Valley.